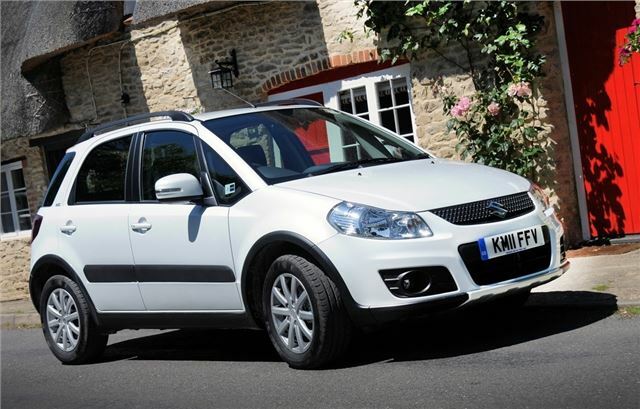 Suzuki has launched a new special edition SX4 - the X-EC. Based on the SZ4 trim the new model is priced at £13,430 and gets a high level of standard kit including satellite navigation, Bluetooth, a USB Port, unique design alloy wheels, electric folding door mirrors, rear privacy glass and a new design seat fabric. The X-EC is available as a two-wheel drive with the 1.6-litre petrol engine and a manual gearbox. It also comes with metallic paint as standard and comes in three finishes, Galactic Grey, Cosmic Black Pearl and Cool White Pearl. The Euro 5 emissions 1.6-litre petrol engine features variable valve timing with a variable intake system for enhanced driveability and response. It powers the SX4 2WD with manual transmission from 0 to 62 mph in 10.7 seconds. In combined cycle driving, the 2WD manual model returns 45.6mpg with emissions of 141g/km.